There are many and different ways to travel to and in Morocco, the travelers are different as well. There are tourists whom enjoy travelling with family, as couples, alone or in groups. 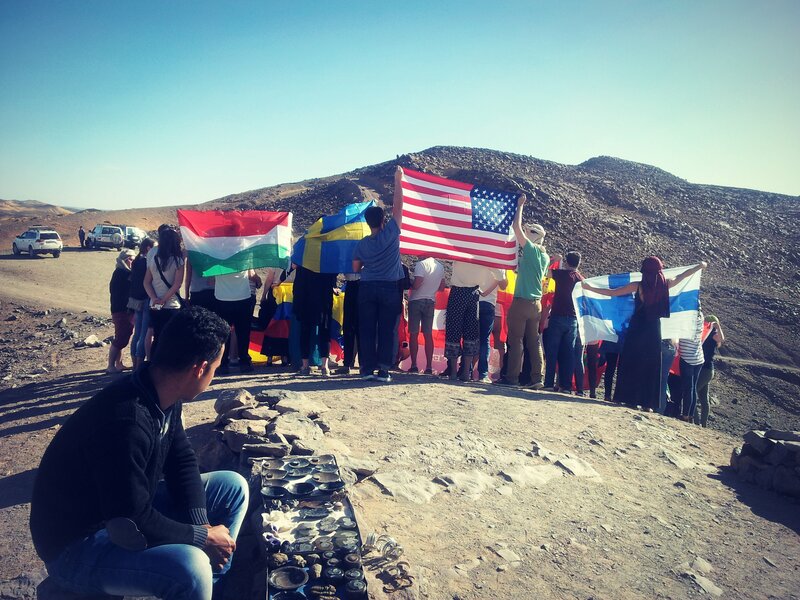 Those who prefer to join group tour have many benefits and reasons that make them travelling with group. Morocco-Exploration-Trips provide you best services to enjoy your tour with your friends and colleagues. 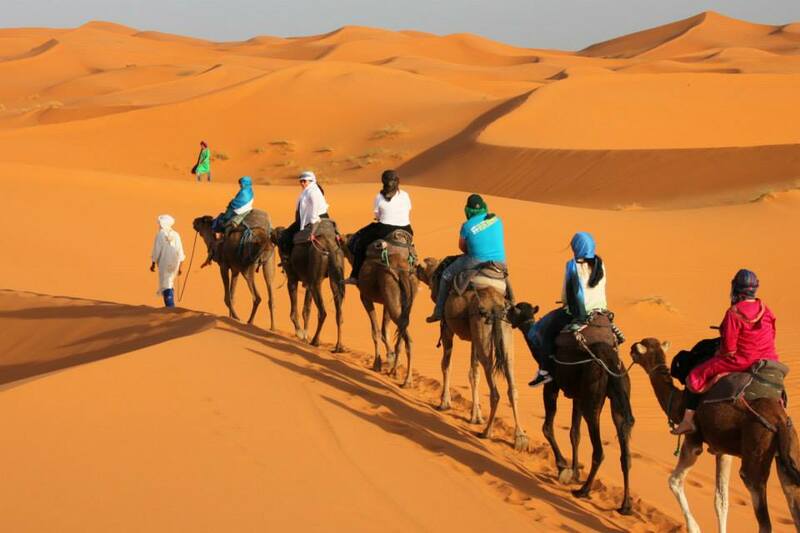 We offer enjoyable and exciting small group travel tours to Sahara Desert from Marrakech, Fes, Tanger or Casablanca. 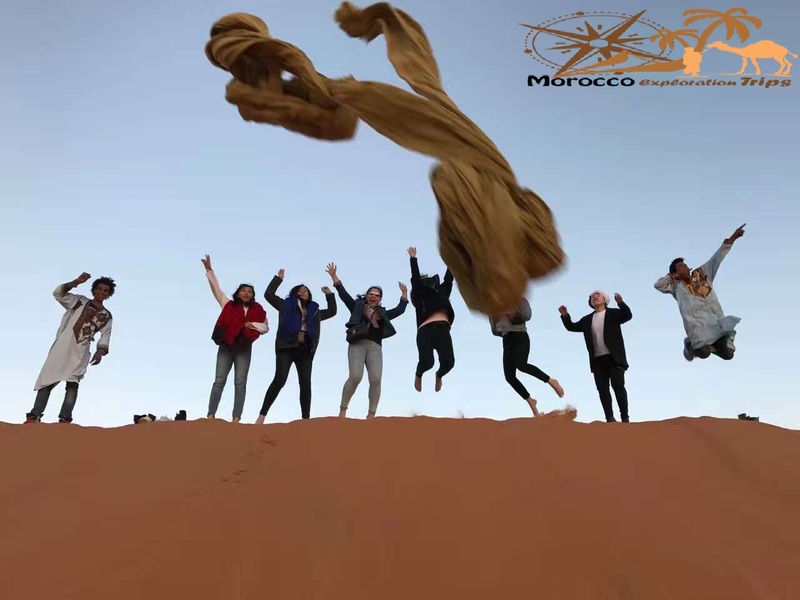 Our tours for small groups based on having fun and make the trip as memorable experience which is full of fun, adventures, Morocco culture, traditions and customs. During this tour, our guests will have chance to visit most beautiful and recommended sights of Morocco country. Are you looking for a cheap and enjoyable holiday to Morocco? Is your budget not enough to take a tour alone? We invite you to suggest to your friends or colleagues the idea of going in private group tour. Are you a teacher, coach or you represent a group of people? Want to go on holiday together? If you interested in Morocco as your travel destination, contact us to arrange you a fantastic package tour with your friends to most beautiful spots in Morocco. 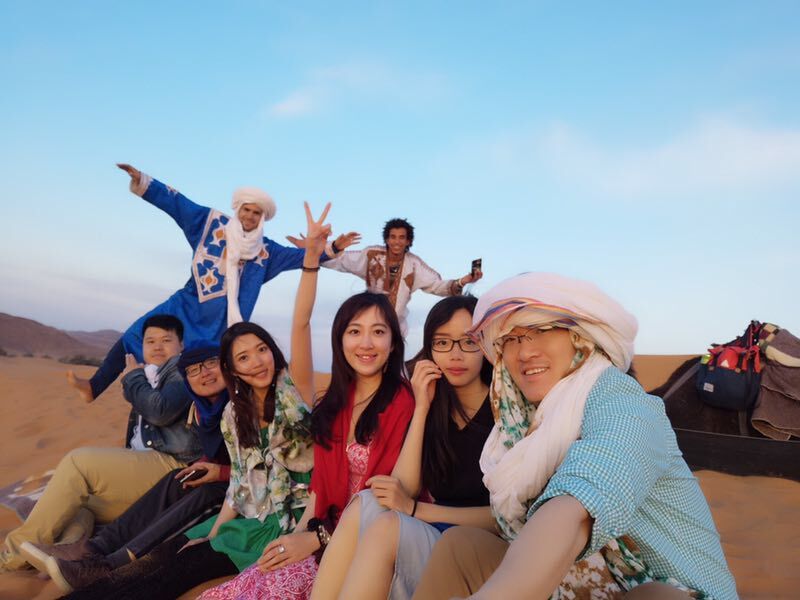 Most of our small group tours include 1 day or 2 days in sahara desert of Merzouga, to experience magical desert overnight in nomad campsite by camel ride in deep of sand dunes erg chebbi. The view of sunset and sunrise over the dunes of sahara desert are so fabulous. Transport we use for the small group tours are same we use for other private tours; clean and good quality of 4×4 wheel drive car with Air Conditioning, (maximum 6 persons) and clean Minibuses with Air Conditioning. The type of tour and number of days up to the interests of the visitors, the price depends on number of people and type of tour and accommodations that chosen by the visitors, the Itinerary and what includes and excludes in the tour will be in the email that you will receive by Morocco-Exploration-Trips.com.